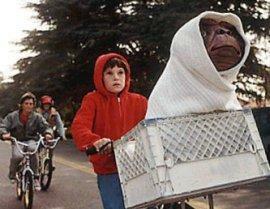 The best Disney movie that Disney never made, one critic remarked after seeing ET. This sums it up quite well, except that on second viewing of this movie I realized that Disney could never have made ET - it is simply too personal an affair and could only have been made by Spielberg himself. All the right strings are pulled: one cries, laughs and cheers at all the right places - just like Spielberg intends us to do. If you haven't seen this film yet you must be the only person on the planet not to have.